The Blue Star Line vessel FREMANTLE STAR. She was built in 1960 at 8,403 grt. 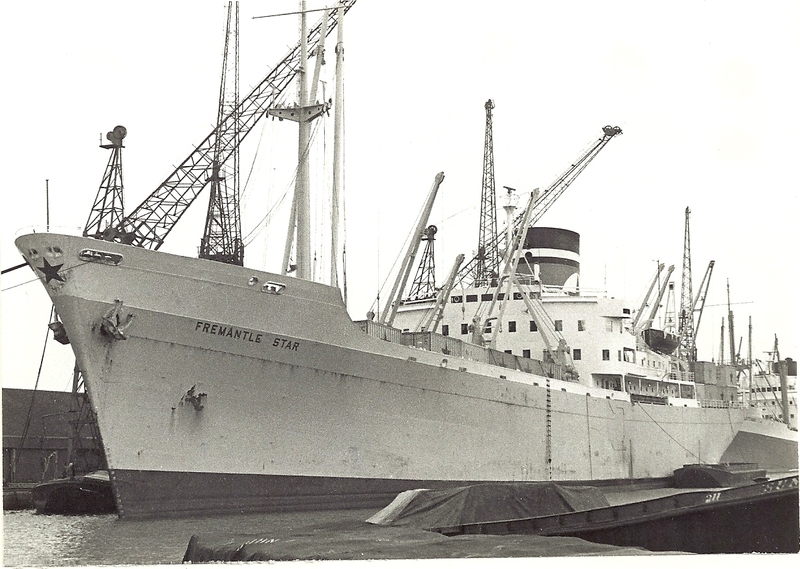 She was hit by the Egyptian vessel MECCA on 5/5/1965 in the Gulf of Suez when she herself was towing the broken down Indian Merchant. She became the CATARINA in 1975 and was broken up in 1980.